You probably remember freshman orientation as if it happened yesterday; the orientation leaders marching around campus in garnet and gold striped polos and the oohs and the ahhs after walking through the grand gates of Doak Campbell for the first time. Four years, nine or so roommates and several failed loves later, it’s time to say goodbye to the dogs on Landis, singing the war chant at football games and hours spent chugging Starbucks coffee at Stroz. But no goodbye is complete without a few remembrances. This has to be number one because let’s face it: this is the place where you first went during Summer C for every White Trash Wednesday. You drank countless $10 fish bowls, befriended the bouncer and knew that if your jam was over, you would hop between Ken’s, Yianni’s and Red Rocks until the Fresh Prince of Bel Air theme song came on. It was normal to run into someone you knew or potentially meet your next boo. If you’re lucky, the best memories you have were made as you twerked with your best friend on the dance floor in the holiest place of freshman year. If you’re not aware of the clubs and organizations on campus, this is the place where people hunt you down for your email to send you info on their organization’s upcoming community service event. This is also the place where half of your tailgating outfits came from after spending over an hour looking through Old Field’s, Quarter Moon, and Avant Garde clothing stands, bonding with other FSU students over tailgating outfits even though you knew you might spill beer on them shortly after arriving. This is the place where your squad sat for hours meeting other freshman, and counting down the days until the next home cooked meal. If you didn’t want to sit at the dining hall, you took a green tray home filled with cookies for a late night study session. And honestly, there’s absolutely nothing better than going to eat food in your pajamas in public just because you can. 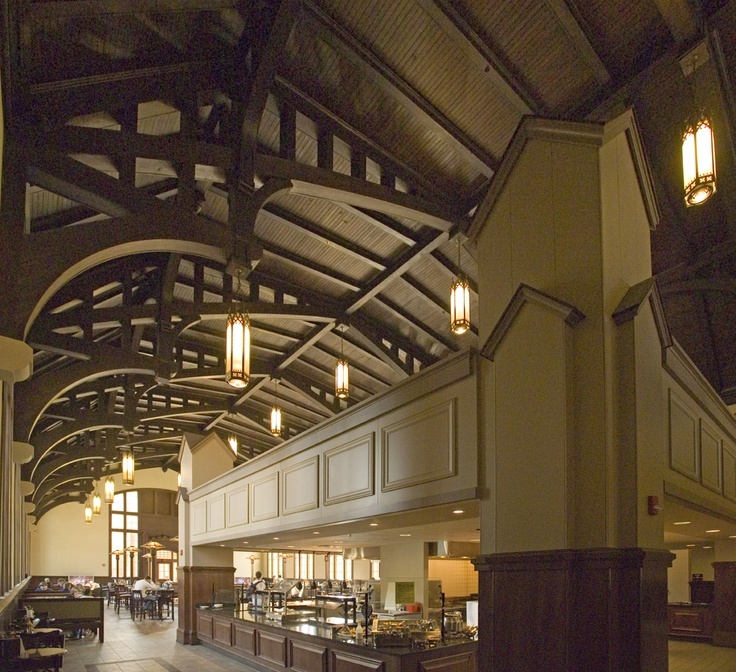 But let’s not forget to give Suwannee Dining Hall credit for giving us the ultimate Hogwarts dining experience (sans the magically appearing delicious food, of course). It’s the library where you were told to be quiet at some point for being too loud on any floor above the first. During midterms and finals week, you found yourself sitting on the floor, most likely hearing the person next to you mouth the vocabulary list for his Spanish midterm. If not, you sat next to the people working on their group project who constantly veered off topic to discuss House of Cards. You never studied anywhere else because it’s a tradition to find yourself face first on the table at 6 a.m., drool excessively spilling from your mouth. Plus, seeing another 200 people procrastinate made you feel like you were going to be OK for the test you had in less than six hours, even though you were still stuck on the second of eight chapters. Although you can’t wait to take your cap and gown photos in front of Wescott fountain, there was a time when you couldn’t wait to be thrown into the below-freezing water on your 21st birthday. Alternatively, Landis was the place you and your friends went that one time after happy hour at Pots, and to this day, you still have no idea how you even got there. Landis is also the one fountain where dogs swim happily and bark playfully, and you’re reminded that the pups of Landis live cooler lives than you. The Marching Chiefs get the crowd pumped during every game, and kill it with their stellar halftime show performances. Jameis Winston led the team to victory at the National Championship in 2013, and you’ll always remember the last 12 seconds of the game that kept you at the edge of your seat. Doesn’t matter if we’re winning or undefeated, there is nothing we will miss more than yelling F-L-O-R-I-D-A S-T-A-T-E and trying to hunt down the Garnet and Gold boys. From eating Gumby’s Pokey Stix dipped in ranch at 2 a.m. after a fun night at the Strip, to eating chicken fingers from Guthries after Coliseum, to every Taco Tuesday at Bandidos or Tijuana Flats, there’s nothing greater than Tallahassee food. Let’s not forget the beauty of the Chick-fil-A drive thru on the way home from classes or eating four Insomnia cookies in the middle of the night. Who cares about the freshman 15 we gained and probably still carry, continue to devour the food that will leave you with separation anxiety. FSU has the best weather in September, October and November. You’ll miss playing Frisbee or picnicking on Landis Green on a day when it’s sunny and 70 degrees. We always miss the pumpkin spice latte weather once it turns to peppermint mocha weather, and we can’t feel our faces. However, we all look adorable in our cheesy OV sweaters and the FSU hoodies we own from the Bookstore. Considering Florida is one of the flattest states in the US, you assumed Tallahassee would be just as flat. When your first day of classes came around, you found yourself walking up to Diffenbaugh for your public speaking class, and realized you wouldn’t have to worry about the “freshman 15.” You’re now grateful for the toned booty that squats at the Leach could never give you. Whether you had Professor Zeigler for a public speaking class, heard Dr. Solomon give an inspiring speech, passed financial accounting with Dr. Pierno or even survived organic chemistry with Dr. Igor, there was one professor at FSU that made your time here sensationole. No matter your major, a FSU professor encouraged you to seek your real word pursuits with a passion. Here’s to that professor: Thank you. I know what you’re thinking: What are we going to do once we leave the FSU bubble? Don’t you worry, the past four years have prepared you for all that is to come, like surviving long winters outside of Florida, meeting deadlines, learning shortcuts when there’s a lot of walking to do and socializing in new environments. Plus, 30 years from now, you’ll most likely be back for Parent’s Weekend, wearing that old FSU shirt at your daughter’s tailgate. Now doesn’t that cheer you up? Student, passionate writer, addicted to ice vanilla lattes, obsessed with Mike Wazowski from Monster’s Inc. and a senior studying Communication and Creative Writing at Florida State University.